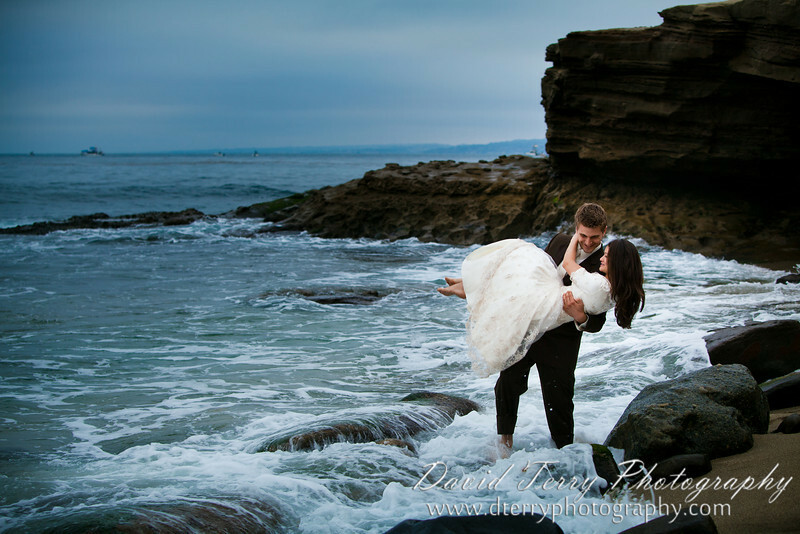 Oh my gosh, Adrienne and Nathanael are the very definition of "romantic". My daughter Cassie (who was assisting me on this wedding) and I found this to be true right from the start, when we shot their engagement pictures. 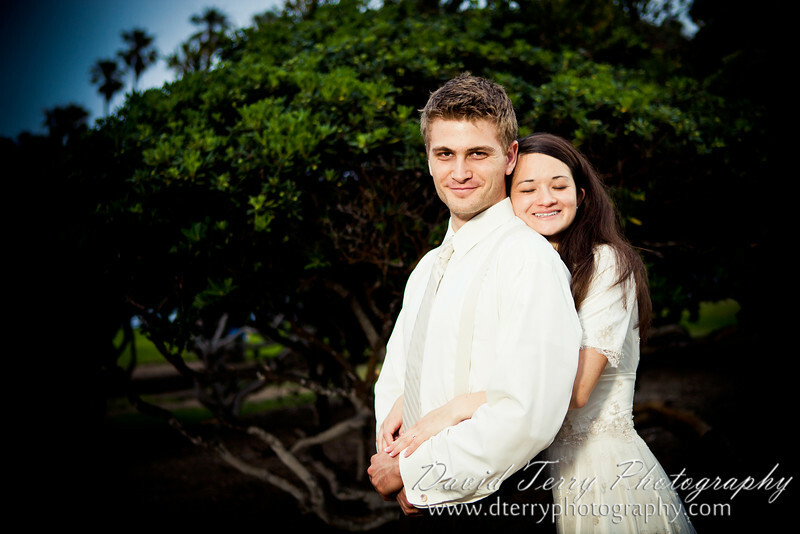 When I found out they were going to San Diego to be married in the San Diego Temple I asked if it would be okay if we did some pictures by the beach the night before. And wow, what a perfect romantic couple for a series of "Love on the Beach" scenes! 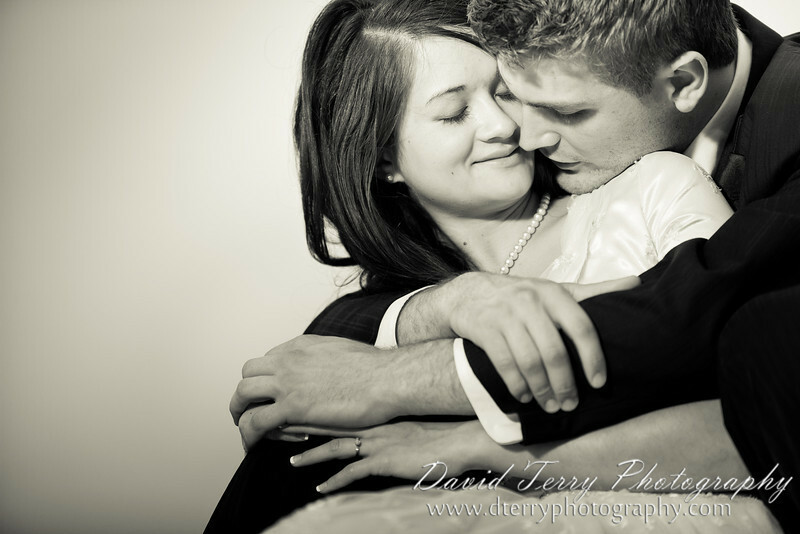 I absolutely loved working with Adrienne and Nathanael. They are both so natural and so obviously in love with each other. It has been a real pleasure to work with them. 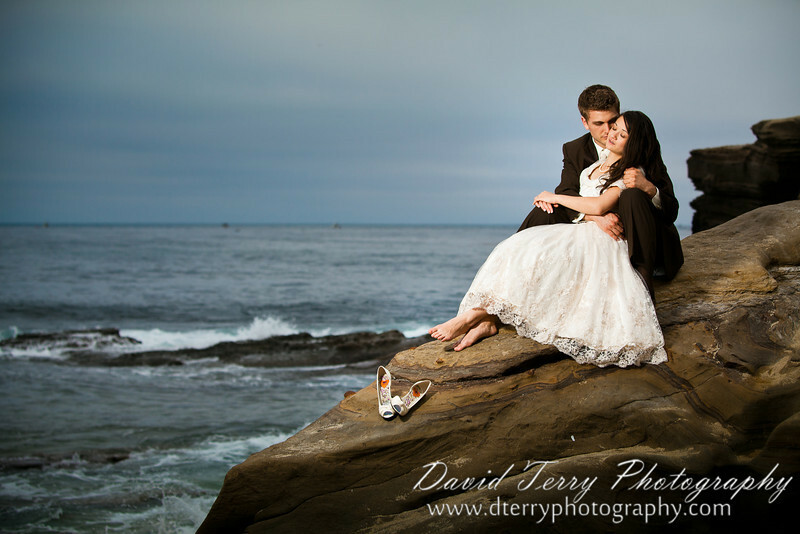 Take a look at some of the beautiful images "we" created together near La Jolla Cove in California (and I really mean "we" ... as in, these beautiful results are the work of a team - my daughter helping with lights, Adrienne's mom, who also made the dress, was helping with hair and other things, and of course, none of this would be possible without Adrienne and Nathanael). 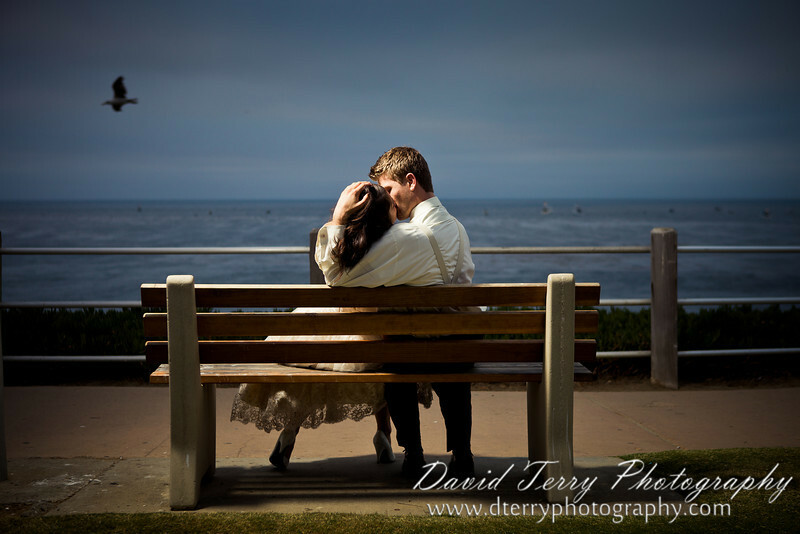 I also wanted to point out that these pictures were taken less than 16 hours before their wedding. 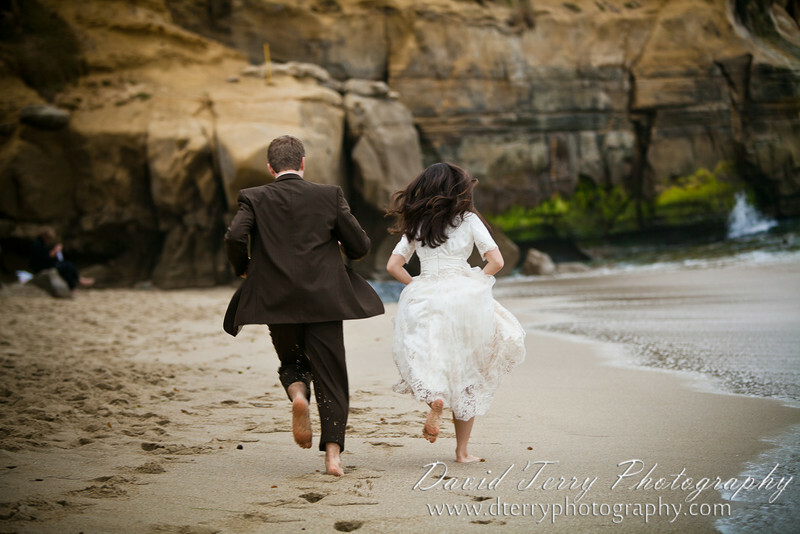 I greatly admire their bravery and willingness to come out onto the beach in their wedding clothes just before getting married. Thanks again Adrienne and Nathanael! You two are the perfect couple. I hope your love remains as fresh and romantic forever! I grew up by the ocean, and I simply love those pictures. 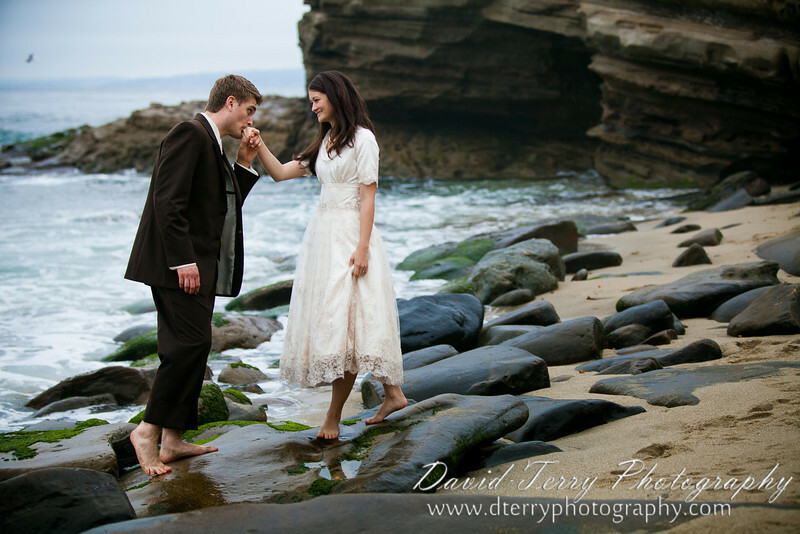 Wonderful pictures, beautiful couple...her dress is so romantic! Love it! Scott and Katie's "First Look"